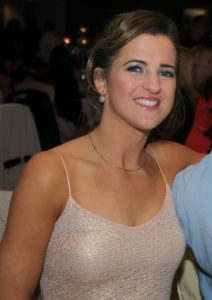 On Thursday next, August 4, the Hawk’s Well Theatre will run a workshop led by popular style blogger Tríona O’Donnell. Blogging is a great way to showcase your writing and interests. In this workshop Tríona will demystify the world of creating online content and impart helpful tips to help you find your inner writing style. So many of the tools you need to write compelling content are readily available for free and with O’Donnell’s encouragement you’ll soon be sharing your views on music, drama, gadgets, golf or Formula One. ModaFix.ie is a popular style blog by Tríona O’Donnell, brought to you from the west coast of Ireland. Much like an online magazine, Tríona showcases local and national talent, offering style inspiration. Tickets for this workshop are €15 and are available from the Hawk’s Well Box Office on 071-9161518.